Luv has trained in England and France for over three years and his transfer has been processed by the AIFF, and he is expected to make a debut for the club soon. At the moment he would be playing under amateur contract. 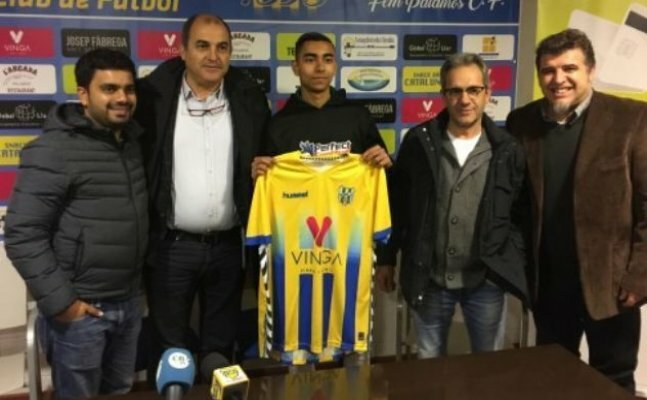 Delhi lad Luv Kapoor, a U19 player has signed for Palamos CF, a fourth Tier Spanish Club. This is the highest level at which any Indian player has signed in Spanish Football system. Palamos is the oldest club in Catalonia and 3rd oldest in Spain. At a press conference in Spain Luv said, “I am very happy with this experience. I want to help the team achieve their goals". The signing of Luv has garnered a lot of attention and has been covered widely by the Spanish media. This is a great opportunity for Luv to showcase his talent in foreign condition and if he is able to perform consistently then bigger clubs will come for him.